The 42nd Royal Highland Regiment is a re-enactment group that portrays the regiment as it would have appeared in the 1760s – 1780s. The actual 42nd Royal Highland Regiment (known as The Black Watch) was raised in the mid-1700s in Scotland, and fought in America during the Seven Years War (“French & Indian War”), as well as the Revolutionary War, fighting for the King. The re-enactment group just celebrated 33 years as a re-enactment regiment. 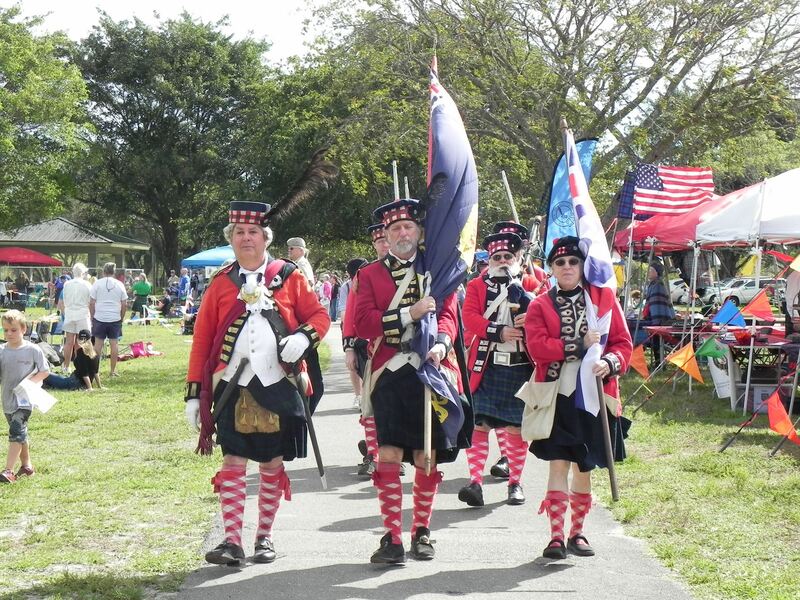 One of their first events was the Southeast Florida Scottish Games in Miami 33 years. 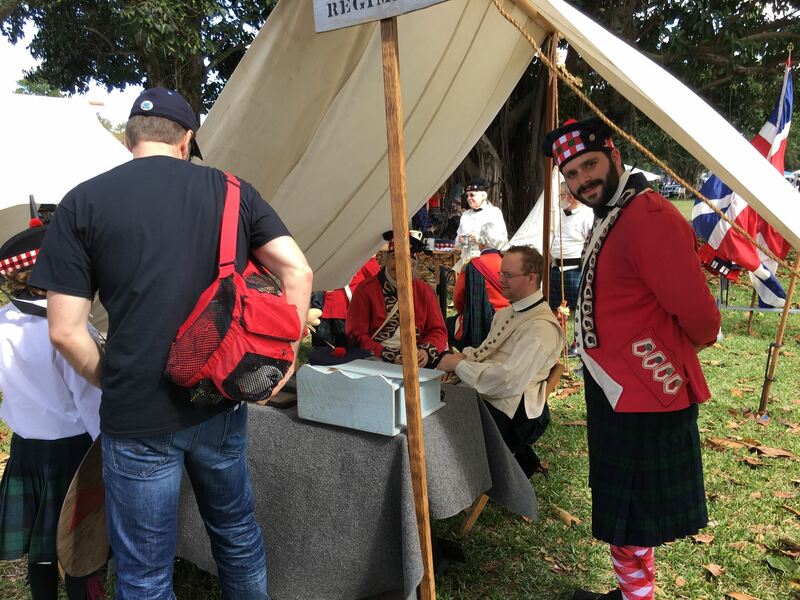 The 42nd Royal Highlander Regiment can be visited throughout the day in their encampment near Stage 2.